Many people believe that depression is the cause behind many disorders, and most popularly insomnia. 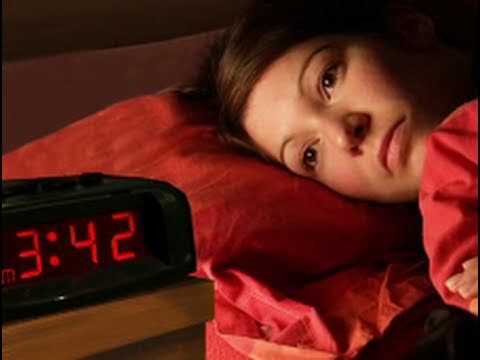 Insomnia is defined as prolonged lack of sleep, and the quality of sleep that an individual does clock in, is poor. Insomnia can be a result of inability to fall asleep even though you may be exhausted, or the inability to stay asleep, i.e. the person keeps waking up. 80% of the patients reported to be depressed, were observed to be insomniacs, while 15% reported to sleeping more than their normal required sleep hours. This observation has resulted in the firm belief that depression causes insomnia. If you are interested in learning more about the relationship between depression and insomnia, please keep reading. Recent studies conducted have revealed a much more complex relationship between insomnia and depression, though the exact nature of the relationship has not yet been established. Earlier studies recorded patients complaining of insomnia almost 5 weeks prior to the diagnosis of depression. Hence it was then established that insomnia indicates the onset of depression. Other studies examining their relationship concluded that insomnia could be used as a cure for depression, as patients who suffer from depression have an abnormal sleeping cycle. REM sleep or rapid eye movement is the dream stage during the sleep cycle and in patients not suffering any illnesses, it tends to follow deepening and relaxing cycles of sleep. However, people undergoing depression tend to fall into REM sleep quickly. It is worth noting that it is during sleep that a person’s memory is recollected and organized. It is during this dream state that a depressed patient’s brain recalls distressing memories, which the person upon waking up remembers. As a result of this sleep cycle disturbance, and the reason behind depression caused by sleep, preventing patients from drifting into REM sleep is the remedy for suppressing painful memories and thus preventing depression. Experts have been bewildered by the complex relationship between depression and insomnia. On one hand, insomnia seems to be a symptom of depression, whereas on the other hand, it is thought to be a cure to prevent it. What Can You Do About Your Depression and Insomnia? Seeing a psychologist is the best way to start treatment for your insomnia and/or depression. You will be able to have your disorders diagnosed and treated. You must keep in mind that you have to be honest with your counselor. It can be hard for some people to open up about their feelings and emotions but you must never keep things from your doctor. The doctor cannot treat you if you are misleading them or if you don’t tell them the entire story. The counseling will be quite beneficial for you in the end. The psychologist will be able to help you identify the source of the depression. Depression can be caused by insomnia but also as we have seen, insomnia can be caused by depression as well. You should have your regular doctor run different tests to check for imbalances or conditions that could be affecting you physically. Depression and insomnia can be treated with medications. After talking with your doctor he will be able to prescribe a medication that will help you. If you prefer to not take medications then there are herbs and supplements that can help with these problems too. Just know that there is help available and there are resources out there that can help. There is hope.